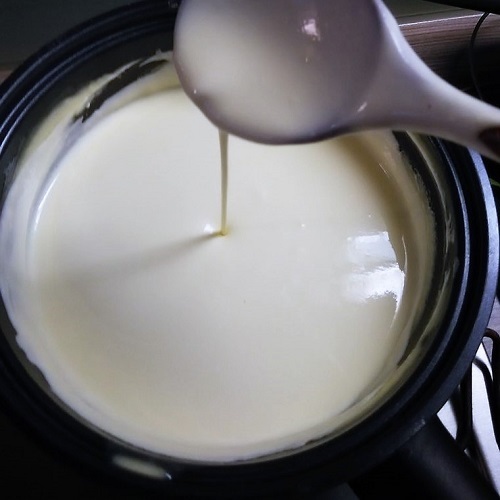 Heat heavy cream over medium heat in a large saucepan until it reaches 88 deg C.
Stir cream and make sure it does not boil, as it will scorch the bottom. In a large saucepan, heat heavy cream over medium high heat until a candy thermometer reads 190 degrees F (88 degrees C). The cream should be at a simmer. Be careful not to scorch the bottom! Stir in the lemon juice and continue to heat at 190 degrees F (88 degrees C) for 5 minutes, stirring constantly. 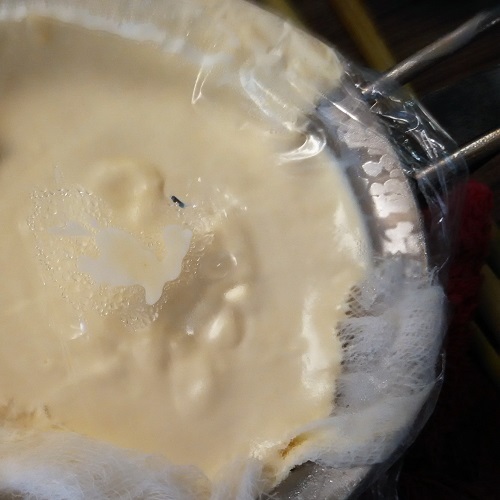 The cream should thicken enough to coat the back of a spoon. Remove from heat and allow to cool to room temperature, about 30 to 45 minutes. Place a strainer lined with 4 layers of cheesecloth (or a few layers of coffee filters) over an empty bowl. Add the cream, cover with plastic wrap, and place in the refrigerator. 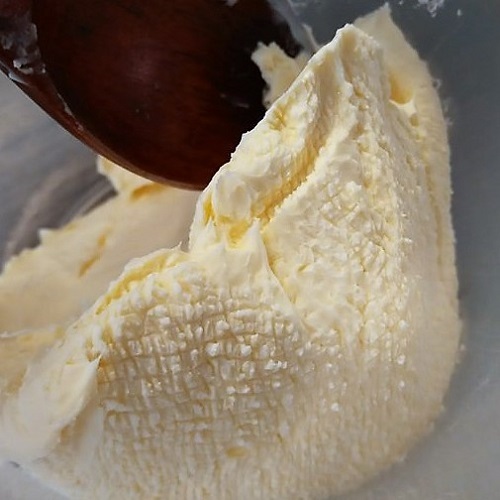 Allow the cream to strain out for 8-12 hours, preferably overnight. Discard the whey; I only ended up with a couple tablespoons. 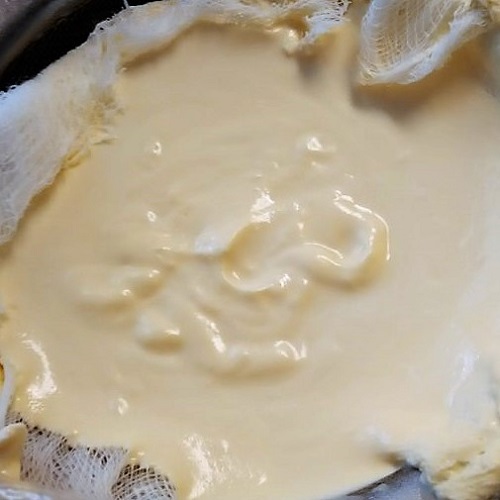 When finished straining, transfer the cheese to an airtight container and store in the refrigerator. 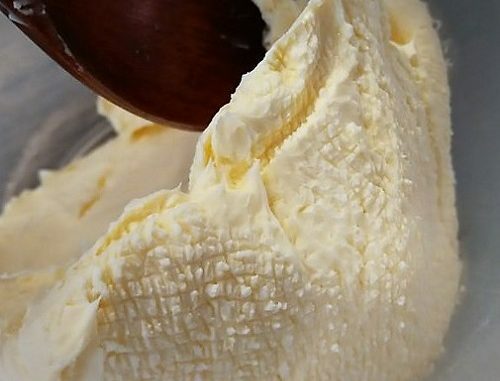 Use fresh mascarpone cheese within the week.